Robot roll call! 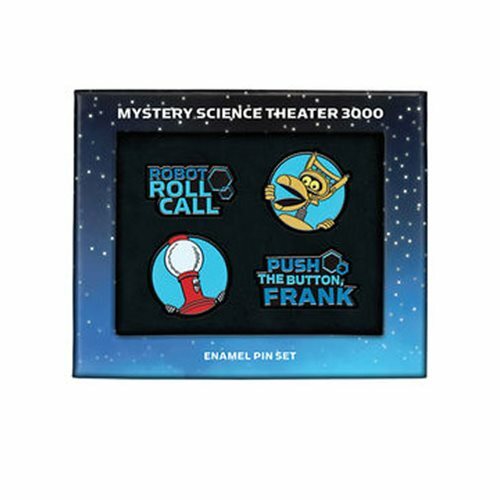 Mystery Science Theater 3000 is forever, and to help you celebrate the series as well as immortalize the original we are happy to bring you the Mystery Science Theater 3000 Enamel Pin Set! Tom Servo and Crow robot pins join "Robot Roll Call" and "Push the Button, Frank" designs for a grand total of 4 unique 1-inch buttons.